The rechargable Streamlight Poly Stinger is the lighter, non-conductive version of the original Stinger flashlight. 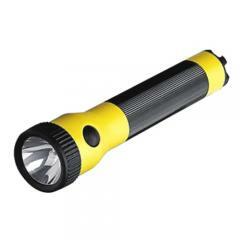 The Streamlight Poly Stinger flashlight features an almost indestructible polymer case and an output of up to 15,000 candlepower. Battery Included.